AntiDepressants: can they help Migraine sufferers avoid attacks? 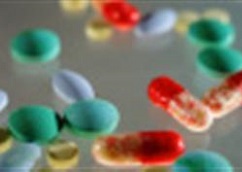 You are here: Home / Feature News / Anti-Depressants: can they help? Some antidepressants are prescribed by doctors to reduce the frequency and severity of some types of headaches, including migraines. Some of these drugs are not just limited to Depression. Tricyclic antidepressants, such as amitriptyline, are considered more effective because they influence serotonin levels and other chemicals in your brain. Evidence for other classes of antidepressants is limited. Side effects of antidepressants vary from person to person, and can include weight gain, fatigue, constipation and dry mouth. Side effects may outweigh benefits of treatment.Medication issues should be discussed with your doctor. Such medication measures should be a last resort, where pain is unresponsive to pain relief medication AND other key triggers and ingredients for your migraines- have been assessed. Assessment for neck problems, eye problems, dietary issues, ear nose and throat problems should be part of the case management in such cases.